Yeah, prosthesis so that’s where I’ve been the last few days. I got my wisdom teeth pulled, and you know how they usually give you a choice between getting knocked out or just doing anaesthesia? Well, the surgeon took one look at my X-rays and said “Son, we generally like to give our patients a choice in the matter, but you’ve got four impacted choppers in there, and I’m gonna have to put you under. No arguments accepted.” I’ll spare you the bloody details, but suffice to say that there was a lot of sawing involved and I’m not able to talk just yet. Now, most people would just take a break and enjoy the vacation from rappidy rap podcasts, but I promised myself February would be special. But I was in no condition to speak into a mic – so a few scrawled messages on napkins, promises I have no intention of honoring, and sad puppydog looks later, I managed to con Mamiko into recording the intro for me. Everybody, please, a round of applause for Mamiko. 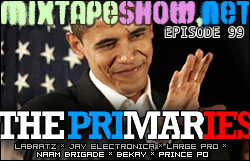 A lot of good music this episode – let’s get into it. mamikolude – Bullion – God Only Knows. Yes, the Beach Boys flip. I gotta put this dude on – next beattape, I promise. Labratz - Grow. Is Labratz a new name to you? It shouldn’t be. More of the same raw post-production (especially on the I mentioned the first time I played these dudes. Too many quotables in here, but all the same – “It gotta precipitate / Before you levitate”. Take that one with you today.myspace.com/thelabratzmusic. Jay Electronica – When The Levees Broke. I’m not sure who produces some of these more unconventional tracks (it may well be Jay himself, come to think of it), but the understatedness of this cut…man, just listen. 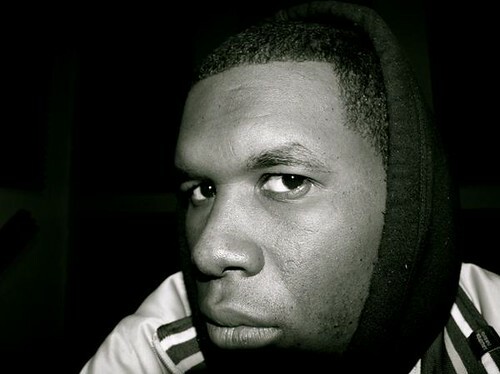 Jay Electronica – Departure. The title of the second part of this cut (not included here – next time!) 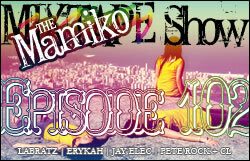 is what inspired my original name for this episode before Mamiko took it over, but the spirit is still there. Vividly autobiographical track. See that “embed” function up here? You might consider using that to share this with your friends. Penuckle - I Love Being Black. As do I. I’ve been meaning to get Penuckle on the show for some time, so when he hit me with the track just before February kicked off, I knew this one was a given. Black History Month – do your research. Thanks again, P (by the way, who handled production on this one?). myspace.com/penuckle. G.L.C. – Honor Me. Not the Welsh group. Not them. No. The flow and beat on this are obviously dope, but what does it for me is that extra vocal tweaking on there. Everyone, more delay, please. The trash talking at the end is kinda funny, but doesn’t take away from the intensity of the track. Shouts to Vince for putting me up on this track. myspace.com/glc. Saroc – Black Dot. 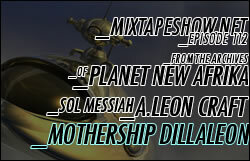 Exclusive courtesy of Sol Messiah (Labratz). I got an email from dude referring to Saroc as his “secret weapon” with this cut attached. I’m not sure how much longer he’s going to be able to keep her a secret, but the lyrics are definitely impressive. The production? Signature Sol. Make sure to play this back a couple times to make sure you’re absorbing it all – in the meantime, I’m waiting for more from Saroc. Erykah Badu- Real Thing (prod. Madlib). Anyone else out there miss Erykah? Fortunately we won’t have to wait that long – her new record is coming pretty soon. I wouldn’t mind hearing more collaborations between these two. myspace.com/erykahbadu. I’m excited for the rest of this month. I’ll post the particulars in a bit, but I’m craving milkshakes again. Thoughts on the show are welcome, as are suggestions for food that won’t make me pass out.